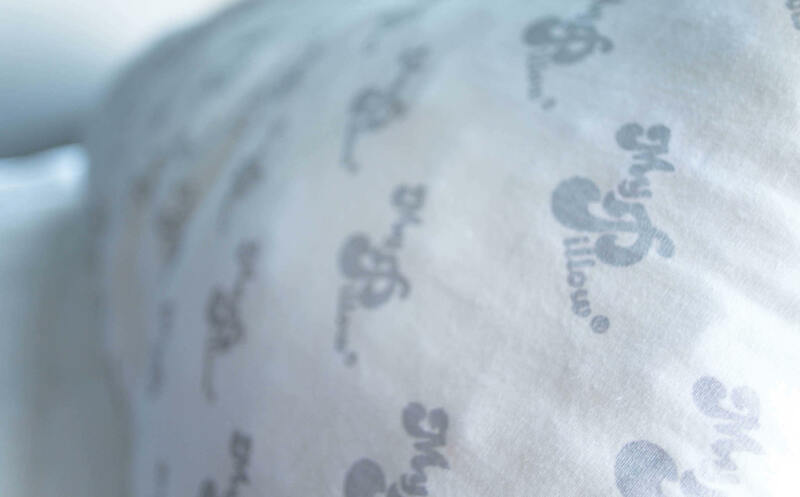 MyPillow Review of features, quality, and sleeping with the pillow. If you looking for a cheap no frills pillow, this pillow might be the solution. First, be aware that this is a low-cost pillow without many features. My personal favorite is the Purple Pillow and is hands down better then MyPillow. You will pay more for the Purple, however. The company story is a fascinating account of one man’s journey to find the right pillow. After discovering that even the most expensive pillows would go flat over time and leave him with a stiff neck and sore arm, Mike Lindell began developing his own pillows. After testing 90 different formulas and fills, Lindell finally came up with the perfect pillow in the summer of 2004. You’ve probably heard about MyPillow and not even realized it. It has been heavily advertised on TV and radio and in those commercials, you can see and hear Lindell’s passion about his products. You can check out his enthusiasm for his product in this infomercial. Update: You can now purchase the pillows here. After his booming success with infomercials and ads, MyPillow is now the official pillow of the National Sleep Foundation. It is made in the USA and can be purchased online. Fulfilling his dream, the pillow is machine washable and dryable and helps with neck and back pain. The company provides a 10-year warranty, and you can return it for any reason within sixty days and get your money refunded. This is a regular pillow, not an anti-snoring pillow. If you need help with snoring the SnoreRx is a great option, as is zQuiet. 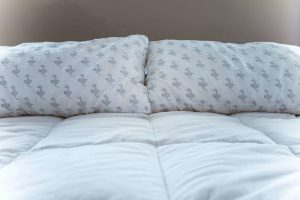 The company has a patented 3-piece interlocking fill that adjusts to your personal sleep needs regardless of your sleep position. By adjusting to your head throughout the night, the pillow keeps your head in a neutral position. This position allows you to fall asleep faster and stay asleep then wake with no neck and back pain. These pillows are customizable to your needs. Using your t-shirt size as a guide, MyPillow’s fitting guide (posted below) allows you to find the right pillow for your personal needs. We found this very useful in choosing the right pillow when purchasing. Important: If your body is accustomed to sleeping on down or feather pillows, you should reduce one level of support. For example, if the chart recommends a “white” for you, drop one level to “yellow.” Read our full description of the My Pillow Color Codes to ensure a proper selection. I have used pillows like this one in the past but seem to gravitate back toward down feather pillows. I was hopeful that well know pillow company would change that. The company website requires you to buy two pillows when you order. You can buy one here though. While I normally would just buy one pillow, I was comfortable with this requirement as I was able to customize each pillow. I ordered both the white and blue colored pillows. The white pillow is smaller and thinner compared to the blue pillow. I used the blue pillow and my wife used the white. When we first received the pillows, my wife and I noticed that they seemed lumpy. Despite appearances, however, the pillows were comfortable to sleep on and we did not have any trouble adjusting to them and falling asleep. The pillows lived up to their promise of remaining cool. I did not overheat at night or sweated like I did with my old pillow. Overall, my wife and I considered this pillow to be average. By spending a few extra dollars, you can purchase the best-in-class Purple Pillow. After a while, the MyPillow did seem to get a little lumpy and there were pieces of foam stuck in various parts of the cover. At $50 this is a good-quality pillow compared to other pillows of the same design. Newer pillows on the market, such as the Tempurpedic pillows are more expensive, but they do contain a more effective cooling memory foam. Mid-Range Cost and Comfort Level. It is a mid-range cost pillow that comes a mid-range comfort level. I slept well with this pillow, but I’ve slept better with pillows that cost a little bit more. When it first hit the market, it was considered state of the art. Now, with so many pillows made of similar material, it is not as revolutionary as it once was. It is, however, still a good value for what you get. There are several online coupon codes circulating for MyPillow, but we were not successful in getting them to work. Because the cost of the pillows was already reasonable, we were not too upset that they did not work- you may have better success at getting them to work. Easy Care. How to clean your pillow is one of life’s little mysteries. They solve that mystery by being machine washable and dryable, which is a big bonus in my book. Strong Money-Back Guarantee and Warranty. The company has a 60-day money back guarantee. 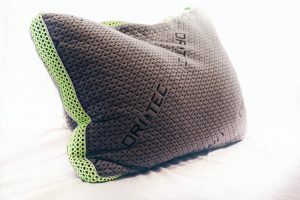 With two months of pillow usage, you can get a solid sense of how the pillow is going to hold up for you in the long run. They will refund 100% of the purchase price (less shipping costs) for any reason within the first 60 days of purchase. Additionally, products come with a 10-year limited warranty on workmanship and material defects. If the pillow goes flat during the 10 years, regardless of how many times the pillow has been washed, the company will replace it with another pillow of equal or greater value and cover the shipping charges. Other Products. If this pillow works out for you, you might also want to consider some of the other products made by the same company. MyPillow also sells pillow covers, bed sheets, mattress toppers, travel pillows and even pet beds! Made in the USA. They are manufactured in the USA. Lumps. After a couple of nights’ use, the pillow became lumpy and there were bits of foam on the pillow. This definitely took away from my experience. Two-Pack Offer. Only sold in packs of two. While each pillow you buy can be customized (you can buy one for you and one for your spouse), you do not have the option to only purchase one pillow. The Better Business Bureau does not approve of the two-for-one pricing scheme and has given them a low rating as a result. Provided you are aware that you are being forced into purchasing two pillows, this is not detrimental to my recommendation. 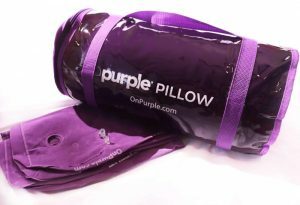 Instead of a pretty regular pillow, our personal favorite is the Purple Pillow with its unique design. It really is a “Bed-for-your-head”. You can read more about Purple Pillow here. However, the MyPillow is a mid-cost pillow that might just be your solution to a solid night’s sleep. You can view some of the common complaints here. With its reasonable cost and 60-day guarantee, there is no harm is testing out the pillow and seeing if it works for you. Previous PostIs There a Pillow that Helps with Snoring? Dude this company is a total fraud have you read the bbb reviews? I got a my pillow for Christmas last year and was so excited. I hate to say buy it is a horrible pillow. It does go flat and has hurt my shoulder because I am a side sleeper. It cause my shoulder pain and my fibromyalgia to flare up with arm swelling and numbness to hand and fingers. Not a pillow to buy. So upset!! Several months ago I finally decided to give My Pillow a try while shopping at Bed, Bath & Beyond. It seemed like a lot of money for one pillow, but after listening to the ads constantly, I bought it. What a disappointment. I could have bought one of many sold at B.B.&B. for much less and would have been just as good. Their claim that it holds it’s shape is just pure bunk! Every night when I go to bed I have to lift it up and shake the fill material down to the flat spot where my head rests, so he (Mike Lindell) is just lying about this in his ads & will never get my money for a 2nd pillow. I didn’t like my pillow at all. We got the premium and wanted to like the my pillow but it did not seem as advertised and I thought was lumpy, hot and couldn’t get it to contour to my head at all. I love tempur pedic and hope to get one of those soon. My pillow was very disappointing.